A lightweight sweater tunic features a combination of rib knit and marble slub knit. 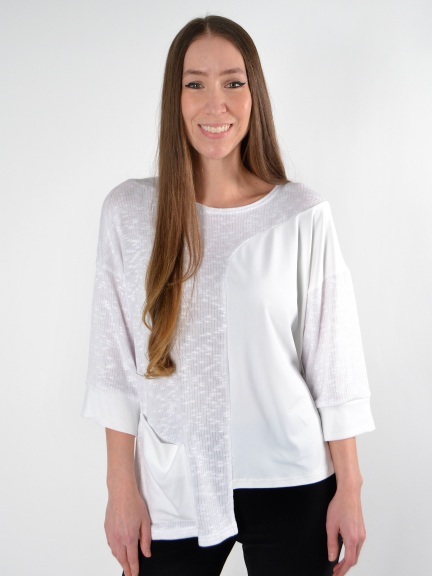 Cropped sleeves, rounded neckline and drop hem with patch pocket create a chopped modern look. Made in Canada.